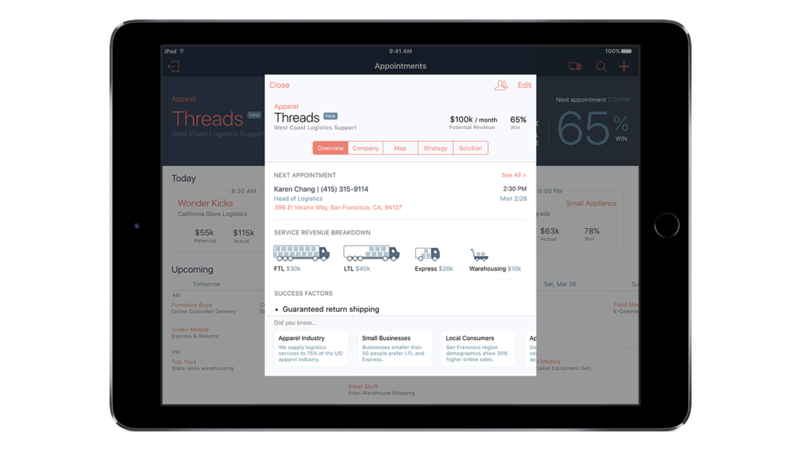 IBM MobileFirst for iOS Sell Freight provides sales reps with crucial industry information such as win rates, success factors and a power map. Capture important client information and receive data-driven tips and insights. Receive recommended products and build a tailored solution for sales opportunities. Get access to approved offers and discounts to close deals. Have industry insights, the latest products and case studies at your fingertips.